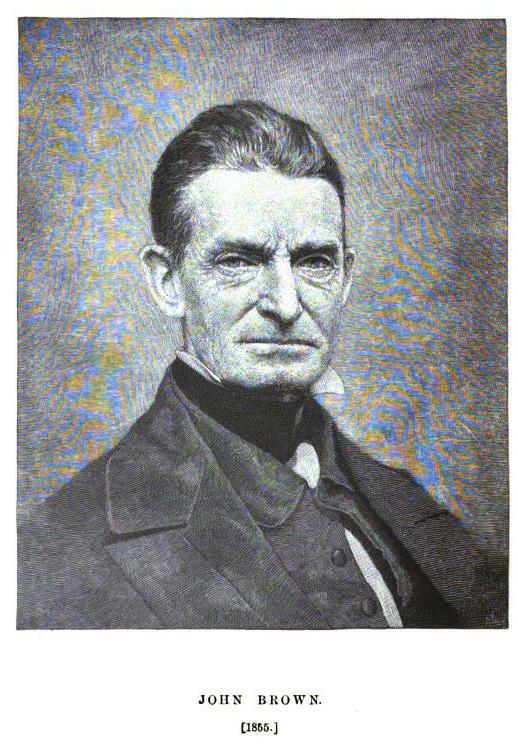 John Brown was born into a deeply religious family in Connecticut. The family moved to northern Ohio when John was five. After age 16, Brown moved about the country, settling variously in Ohio, Pennsylvania, Massachusetts, and New York. He married at 20 and took along his family. Working at various times as a farmer, wool merchant, tanner, and land speculator, he never was financially successful, later filing for bankruptcy. His lack of funds, however, did not keep him from supporting causes he believed in. Brown vowed publicly in 1837 to “consecrate my life to the destruction of slavery!” He would give land to fugitive slaves. He also participated in the Underground Railroad. 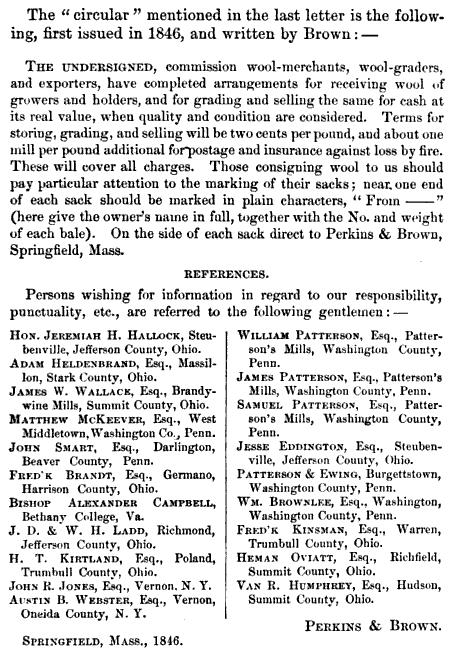 While doing business in 1846, Brown often stayed with the Ladd family, abolitionists and Quakers, who were wool-growers at Richmond, Ohio. 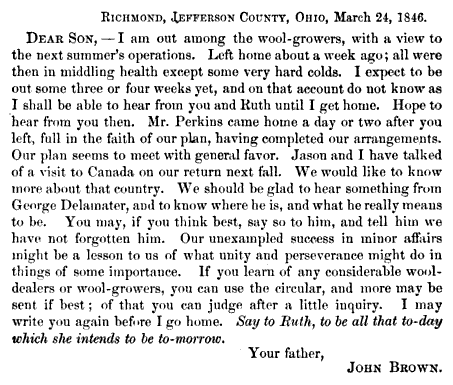 Brown did not emerge as a major abolitionist figure until 1856, after he followed five of his sons to the Kansas territory. He became the leader of antislavery guerillas there and in retribution for an attack, Brown and his sons went to the proslavery town of Pottawatomie and brutally killed five of its settlers. Brown returned to the east and began to think more seriously about his plan for a slave uprising in Virginia. He sought money to fund an army of freed slaves. On October 16, 1859, he set his plan into action when he and 21 other men raided the federal arsenal at Harpers Ferry, Virginia. Brown was wounded and quickly captured. He then was tried and convicted of treason. 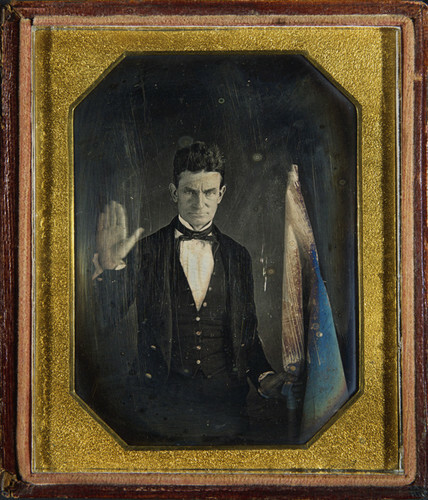 John Brown was hanged on December 2, 1859.